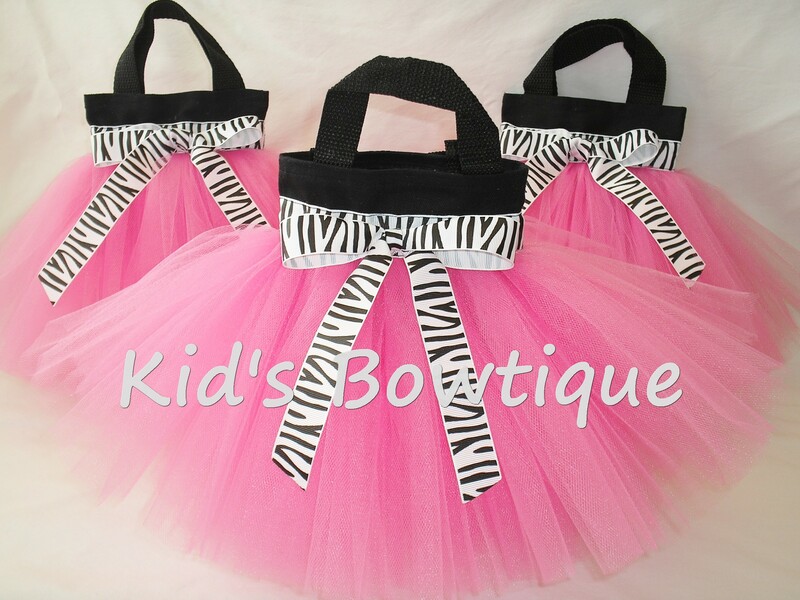 Kid's Bowtique has designed party favor tutu bags perfect as: Birthday party treat bags, princess party decorations & centerpieces, baby shower favor bags, wedding shower decorations, flower girl purses, etc. 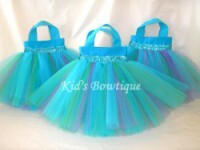 We welcome custom color requests; email us to have tutu bags made to match your party colors/theme. Each canvas bag is 6X5 size. 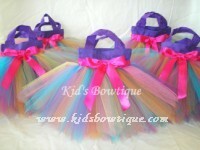 The price listed is for ONE party favor tutu bag in 6X5 size. SHIPPING: Most orders ship out in 3-5 business days. 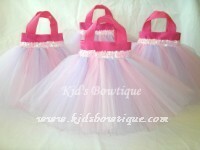 For 25+ bag orders or rush order requests, please contact us regarding shipping PRIOR to ordering.